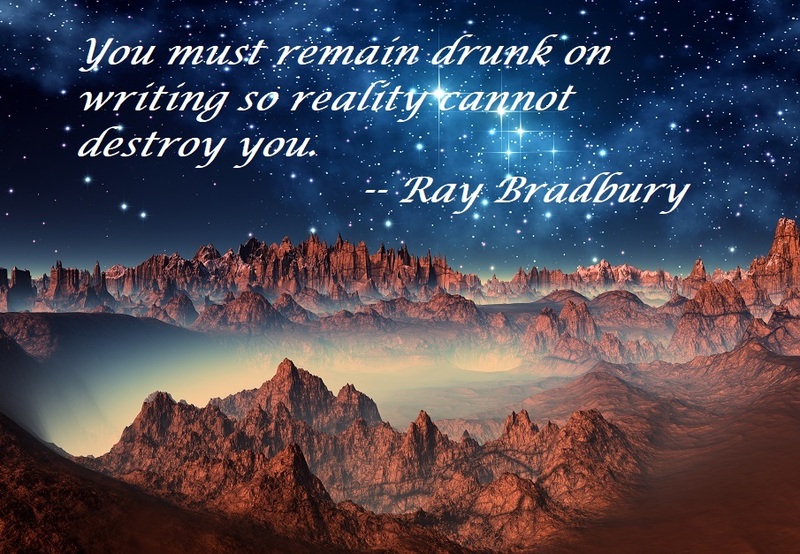 I subscribe to Fantasy & Science Fiction. It includes writing by top names in the genre, but it’s also been known to feature up and coming writers. I’ve submitted to it but haven’t connected yet. It’s well known as one of the hardest markets to hit. But if you’re interested in high quality genre fiction, and want to know that latest currents and trends in sci-fi and fantasy, check it out. Maybe you’ll be inspired to submit something. 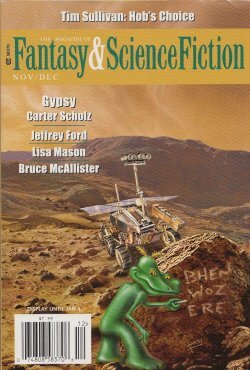 The award-winning Magazine of Fantasy & Science Fiction, founded in 1949. The original publisher of Stephen King’s Dark Tower, Daniel Keyes’s Flowers for Algernon, and Walter M. Miller’s A Canticle for Leibowitz. 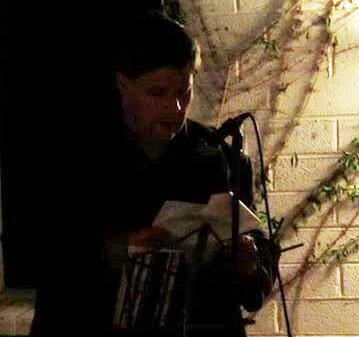 On Nov. 7, 2015, I had the privilege of reading my short story, “Most of Us Are From Someplace Else,” at a public event held by the Writers Studio Tucson. 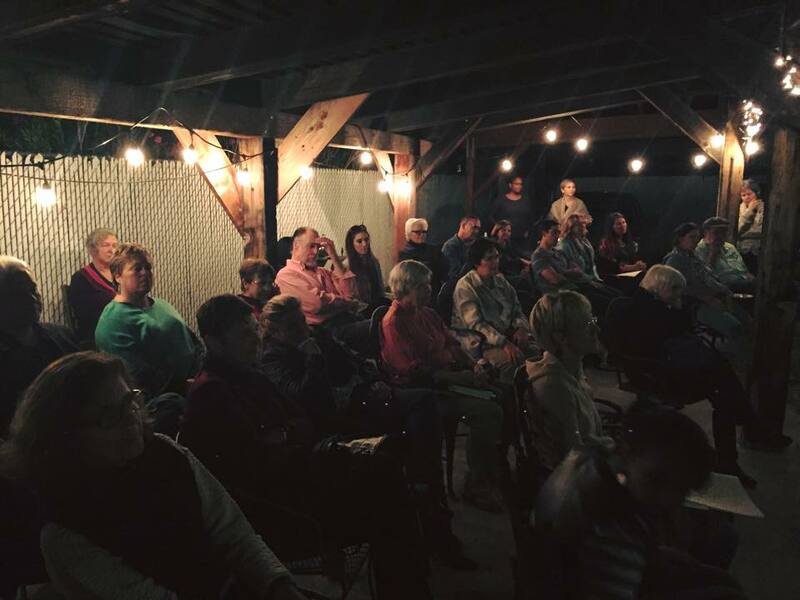 We had an excellent turnout, so good in fact that many had to stand while the three stories were read. I want to thank my good friends who came out to support me and other writers. The Writers Studio Tucson is doing a great job putting together public events like this to encourage the growth of local writers. Reading my story was a very rewarding experience. It was a little nerve-wracking at first, looking out at so many faces and not knowing if people were enjoying or even following my story. But I started to hear laughter at some appropriate points and I knew that the audience was with me. After that, I was able to relax a bit and enjoy the experience. I know, as a listener, it can be hard to follow a story being read. Become distracted for a moment and you can lose the whole thread, and there’s no paging back to reclaim your bearings. So I tried to read as clearly and deliberately as possible. I got lots of positive feedback afterwards, both on the read and the story itself, and I’ll be submitting the story for publication shortly. Congratulations to my fellow writers, and special thanks to Adrienne as well as Writers Studio teachers Renee Bibby, Janelle Drumwright and Lela Scott MacNeil for putting this fantastic event together.